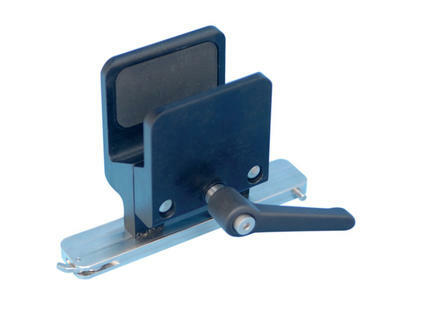 C-Arm Table Accessory Clamp - holds accessories such as arm boards to any Biodex C-Arm table. 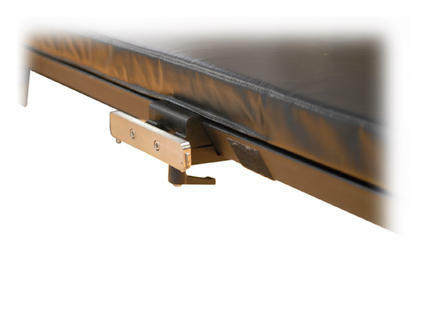 The Biodex C-Arm Table Accessory Clamp is designed to mount to all Biodex carbon fiber top C-Arm tables. It is used to attach a table accessory, such as arm boards or fistula boards that require standard OR accessory railing. The clamp will accommodate any standard OR locking block, and can be placed anywhere along the length of the table to provide six inches of OR accessory rail.